Gum Disease can sometimes be very tricky; you might think you’re perfectly healthy, but actually be a victim of silently growing periodontal disease. If you’re not experiencing any of the common symptoms for gum disease, such as bleeding gums, for sensitive teeth, then only during your regular check-up sessions will we be able to diagnose the disease and start treating it. Treatment of early stages of gum disease, also called gingivitis, requires good hygiene practice at home, as well as regular professional cleanings at Oakwood Village Dental. 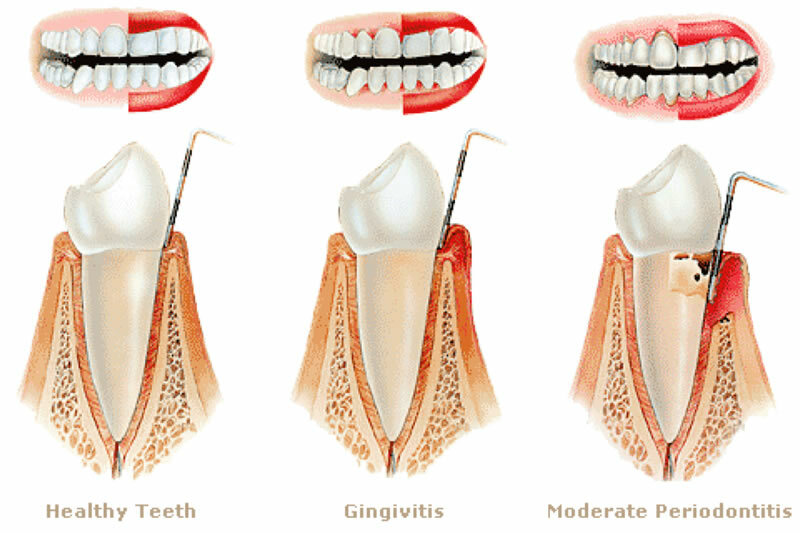 If left untreated, in other word ignored those cleaning sessions, your disease will develop and reach the more advanced stage, called periodontitis. This required more vigorous and more frequent cleaning methods, such as scaling and root planning of your teeth and gums. Gum disease might not seem like a serious disease to some people, but it might actually lead to the loss of your teeth. Research has also proven that it’s linked to general health problems, such as heart disease and strokes. Maintaining good oral hygiene habits will prevent the build-up of bacteria and tartar on your teeth and gum line, hence eliminating or at least minimizing your risk of gum disease.